This offer is TRENDING and is here for a limited time! 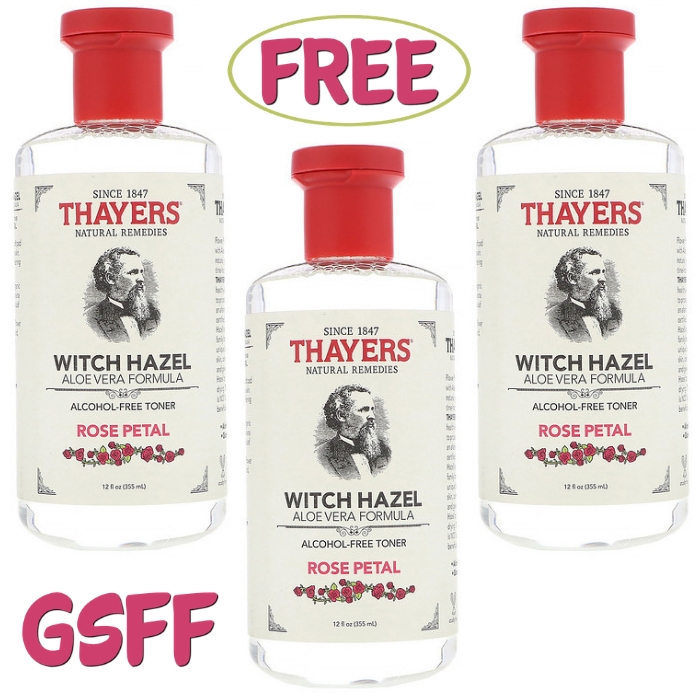 Make sure to grab this FREE Thayer’s Witch Hazel toner from Target for new TopCashBack members! Thayer’s Witch Hazel is a natural witch hazel toner that helps to cleanse, moisturize, tone and protect skin. There’s a reason this witch hazel is so popular with 4.5 stars and almost 500 reviews. It’s alcohol free and made with organic witch hazel so you can feel good knowing exactly what you are putting on your skin. Just spend at least $6.99 or more on Thayer’s Witch Hazel Toner through this custom TopCashBack page and get $10.99 in cash back! Add Thayer’s Witch Hazel Toner from Target to your cart for $6.99 or more and head to checkout. You must spend at least $6.99 to get this deal. Pay $6.99 or more. That’s it! The $10.99 will post to your TopCashback account within 14 days, and the amount will become payable within 14 days. Cash back can be credited straight to your checking or PayPal account. Note: Transactions must contain at least $6.99 worth of purchases to ensure the $10.99 cash back is credited to TopCashback accounts. Transactions may initially track lower, but within the 14 days after purchase it will be uplifted and turn payable at the amount of $10.99. Transactions may take up to 7 days to appear in your TopCashback account. The deal is open until 11:59pm PST on 03/24/2019 or until supplies run out; whichever happens first; applicable for purchases made directly after clicking through TopCashback. Only one TopCashback account is permitted per member. Greet your home guests in the most stylish of ways! Make sure to grab this FREE All Are Welcome Here Doormat from Target for new TopCashBack members! With spring quickly approaching, it’s time to get out those aesthetically pleasing doormats! This would be a great pick! 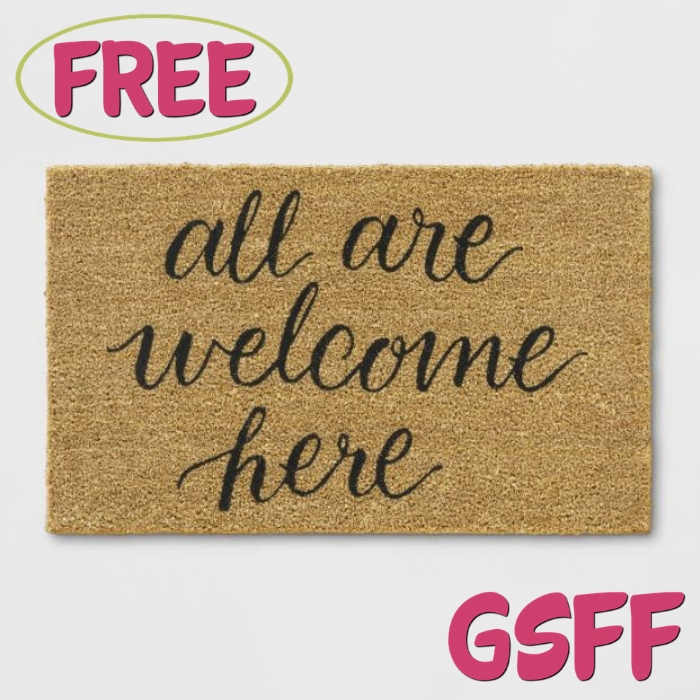 Just spend at least $10 or more on ‘All Are Welcome Here’ Doormat from Target through this custom TopCashBack page and get $12.99 in cash back! Add ‘All Are Welcome Here’ Doormat to your cart for $10 or more and head to checkout. You must spend at least $10 to get this deal. Pay $10 or more. That’s it! The $12.99 will post to your TopCashback account within 14 days, and the amount will become payable within 14 days. Cash back can be credited straight to your checking or PayPal account. Note: Transactions must contain at least $10 worth of purchases to ensure the $12.99 cash back is credited to TopCashback accounts. Transactions may initially track lower, but within the 14 days after purchase it will be uplifted and turn payable at the amount of $12.99. Transactions may take up to 7 days to appear in your TopCashback account. The deal is open until 11:59pm PST on 03/16/2019 or until supplies run out; whichever happens first; applicable for purchases made directly after clicking through TopCashback. Only one TopCashback account is permitted per member.